The FBB Series hinges are ball bearing hinges that conform to ANSI A156.1. 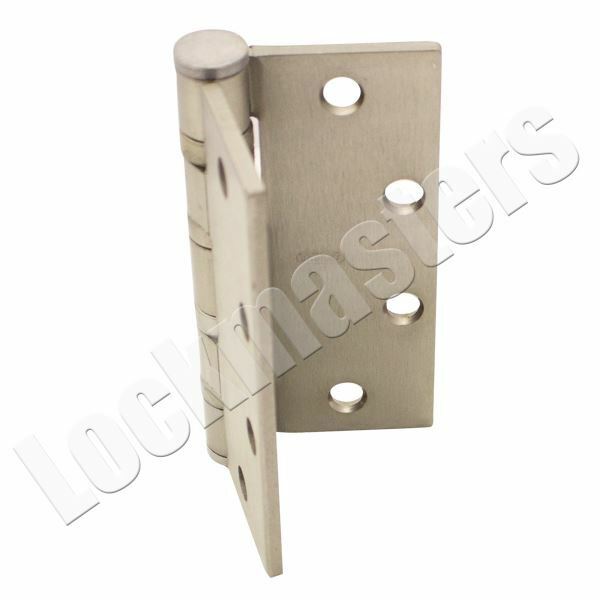 These tough, hardened, chrome alloy, vertical thrust ball-bearing assemblies support the vertical load on the door, as the pin bearing on the inside of the hinge knuckles supports the lateral load of the door. FBB hinges are approved for use on fire-rated doors since they contain anti-friction bearings, a requirement for fire-rated and self-closing doors. For use on heavy doors or doors where high frequency is expected as entrance doors to office buildings, stores, public buildings and corridor entrance doors to offices.